I’ve been living in New York City for more than 30 years and I always heard the rumors, whispers and praises regarding Arthur Avenue in the Bronx. I’ve somewhat given up on Mulberry Street in Manhattan many years ago as I watched it get devoured by China Town. Now is my time to visit the real New York Little Italy with a tour by my friend who grew up there, Vevette and her husband Joe. Following is what I discovered as well as a few tips when visiting this area of the red, white and green. My journey begins from Grand Central Station on Metro North to the Bronx Botanical Gardens stop. When you disembark the train, Arthur Avenue is a quick taxi or Uber ride away. 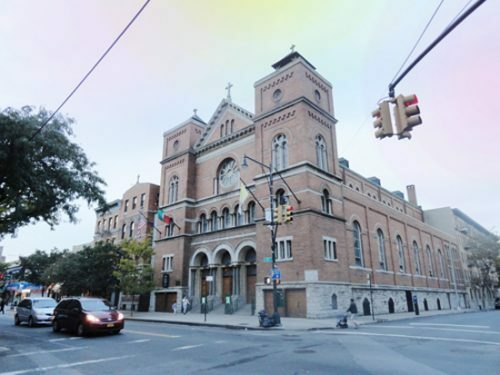 You will know that you are in the right spot when you see Our Lady of St. Carmel (above) on East 187th Street. Perhaps you should begin your visit there with a genuflect, a Hail Mary or say the entire Novena. Outside of the church is a bacchanalia with decadent cuisine, imported wines and remarkable delicacies in various family-owend and operated shops. 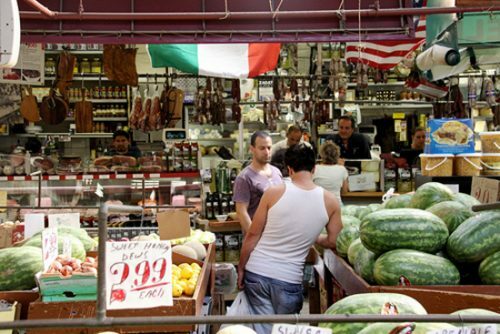 The next stop that I suggest is the Arthur Avenue Market at 2321 Hughes Avenue, built by Mayor Fiorello La Guardia in the 1930s, this market place offers an abundance of fresh fruit, vegetables, cured meats and cheese. The space is a throw back to the old country. Similar to many markets in Southern Europe, the time of season dictates what the vendors offer for sale. Established in 1918, Madonia Brothers Bakery is located at 2348 Arthur Avenue. The aroma of freshly baked bread is practically intoxicating throughout the entire neighborhood. 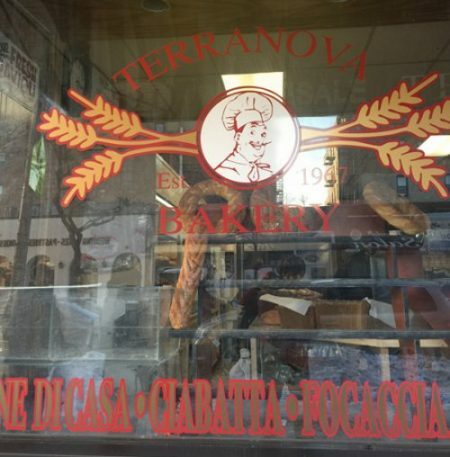 Terrenova Bakery is located at 691 East 187th Street and was established in 1967. The jovial proprietor will help you make a selection if you really don’t know what to order. They are known for their pizza dough and rustic Italian breads. You may also want to swing by Mike’s Deli (in the market) for a selection of meats and deli salads. For fresh pasta, check out Borgatti’s Ravioli & Egg Noodles. Tip: Vevette wisely informed me that all of my purchases could be frozen if I don’t consume the entire lot during my commute back to Manhattan. She was right. Unless you live in the Bronx, not everyone is able to shop for this freshness on a daily basis. Prior to this visit, I had scores of friends making recommendations on where to dine in this hood. I understand that individuals have their own specific tastes, haunte and the options up in the Bronx run from formal to casual to dining with strangers. Regardless, I knew that I was in the capable hands of my hosts for the day. Joe and Vevette took me to Dominic’s at 2335 Arthur Avenue. This is the epitome of authentic, family-style dining in a no-frills establishment with long picnic tables that serve up cuisine that is getting more and more difficult to find in Manhattan. Tip: Do not ask for a menu. Once seated at one of the communal tables, do not ask for a menu (remember the tip above?). 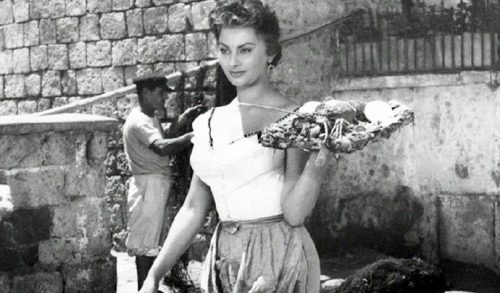 One of Dominic’s beautiful or handsome servers with enough scruff and grit from a Fellini Film will recite the menu for that specific day. Listen to him carefully. Once again, do not ask for a menu! Portions are large a la famiglia style. 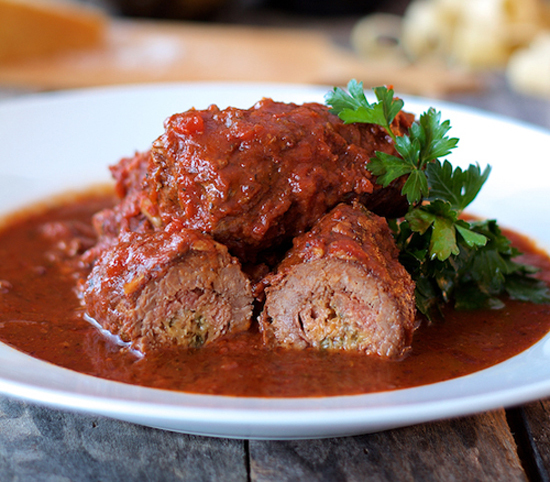 On this particular brisk and bright Sunday afternoon, we started with a salad, then pasta (red sauce or gravy) and braciole (above) made with thinly-sliced meat that are pan-fried or grilled often in their own juice or in a small amount of light olive oil. I’ve heard fights over different recipes in the past. This one will make me return while my mother’s friends cry. 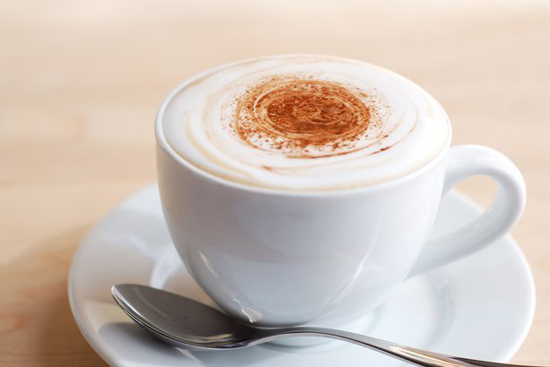 Italians from the old country only drink cappuccino for breakfast but we are Americans and like to break the rules — try an espresso, cappuccino or your favorite hot beverage at Morrone’s Pastry and Café at 2349 Arthur Ave. Rumor has it that the best cannoli are hand-piped and made to order at Madonia Bakery. Note: Not all stores or restaurants are open on Sundays. The neighborhood is primarily a Monday thru Saturday business region with a little more chaos like dancing the tarantella. Tip: Car service from Manhattan to the Bronx costs around $30 and up. 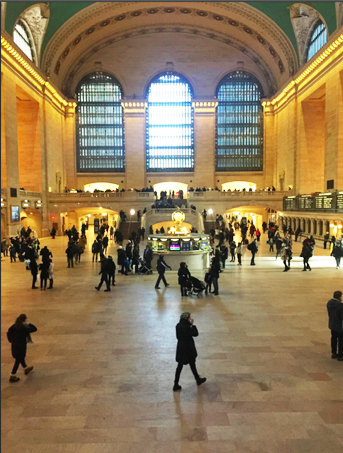 The trip on Metro North was much less and lasted 15 minutes direct from Grand Central Station and you don’t have to worry about traffic. Read City Pulse every month for insider tips on what’s happening in and around NYC.